GPS asset and personal tracking has revolutionized the way that the world does business. GPS stands for global positioning system. It allows you to determine information about time and location on Earth via satellites. GPS is the technology that identifies the time and location of your vehicle and thereby allows you to make use of the map-based navigation on your dashboard. Businesses use asset tracking to track their physical assets via GPS. In a traditional logistics, a physical asset has a barcode that needs to be scanned at various points along its journey. If the asset goes missing, the business is only aware of the location at which the asset was last scanned. In an asset tracking system, the asset requires just one scan to attach the smart tag, and then the business is aware of the precise location of the asset at all times. GPS Tracking System Diagram Depicted How’s The GPS Works In All Devices. The asset tracking provided via sites like www.gpsearch.com.my offers the modern business a number of benefits. Here is a look at five of the most important. The smart tags may be more expensive than traditional barcodes, but the system requires less labor and hardware. In fact, many companies replace their scanners with an app that employees can run from their smartphones. 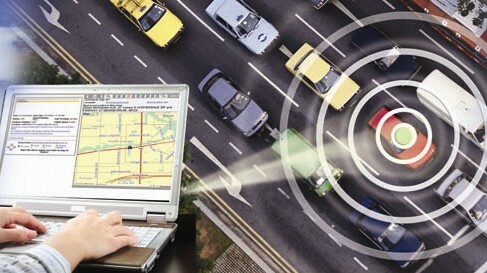 GPS tracking is accessible and easy to manage. Historically, integrating a tracking system has been a major project that required fundamental changes to the business. The newer system, however, is much more versatile and requires only a smart tag applied to the assets at the point of origin. As soon as the smart tag is applied, the business knows precisely where the asset is, and smart tags cannot be removed, stolen or damaged. If a vital asset is moved incorrectly, the business can reroute the transportation it’s on to ensure that it gets to its destination on time. In a traditional tracking system, it could take a very long time for the business to become aware that an asset had gone missing. In fact, many businesses have paid taxes and other costs on lost assets that should have long ago been written off as a loss. With asset tracking, the business is immediately aware. The tracking system has a built-in database that integrate with the business’ other systems, and that database makes the business automatically prepared for an audit and other forms of review.